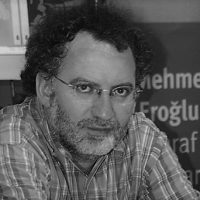 Osman is currently the editor of the Agora publishing house and the Mesele book magazine, and has written extensively on the Gezi uprising.s currently the editor of the Agora publishing house and the Mesele book magazine, and has written extensively on the Gezi uprising. In the protest movements that have emerged since the financial crisis, from Occupy in the US to the Arab Spring, social media has gained new significance as a method of communication, both between activists and as a means of bringing the message to the rest of the world. The protests which took hold in Turkey last year were no exception – but how has the situation developed since then, and how have the authorities responded?